In 1952, the now classic Le Klint Sax Lamp was introduced. Like an accordion, the lamp can be pulled out and pushed in, depending on where you need the light. The Sax Lamp comes in walnut, beech, light oak and in a black or white high lustre lacquering. 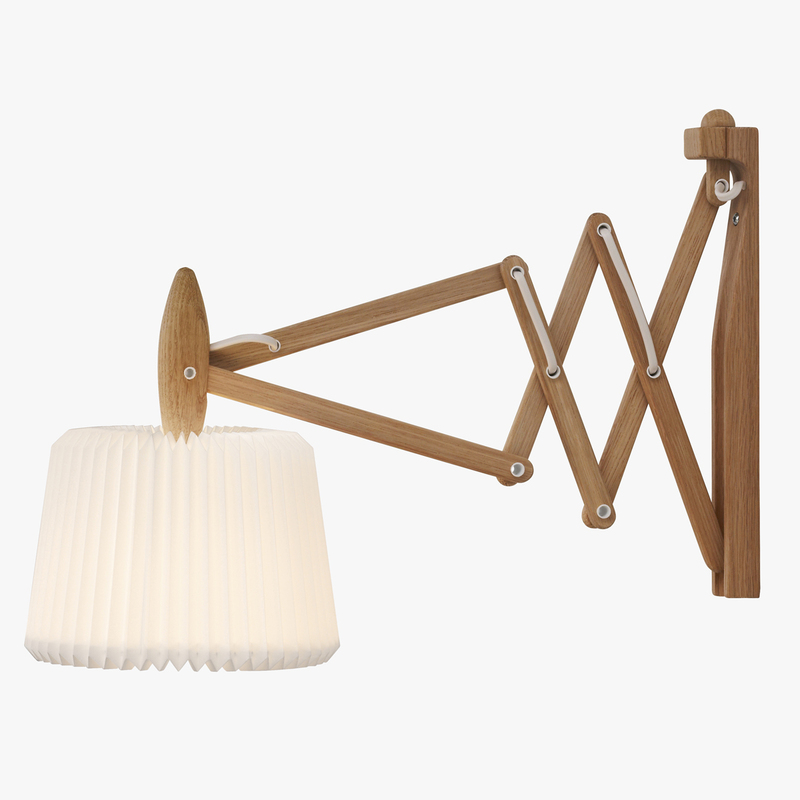 The lamp also comes in several versions Ð with a long or short extension, and with a choice of position for the lampshade, above or below the extension, thus satisfying more than one need. This fine, functional lamp is to many people synonymous with Le Klint and with its light wood and white shade, it fits perfectly with classic Danish decor. LED Globe. Available in walnut, beech, light oak OR black or white high lustre lacquered concertina arm.